Melodifestivalen is fast approaching us and I, for one, am gagging to find out who will be in the running to rep the Scandinavian heavyweights of Eurovision. The Swedish selection is surely one of the most anticipated national finals thanks to its top-notch production and quality tunes. With returning artists, international Eurovison legends and new artists all fair game, here are who I would love to see in 2018. Note: I am not a follower of Swedish media or anything other than the artists’ social media streams whenever I can be bothered to click the ‘Translate this text’ button on Facebook, so forgive me if I end up mentioning artists who have categorically claimed they will never return or ruled out a return this year at least. 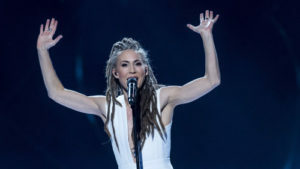 Mariette needs to win Melodifestivalen. ‘Don’t Stop Believing’ and ‘A Million Years’ epitomise everything great about the contest and Swedish pop in general. Coating euphoric pop with just a hint of scandi-darkness, her first entry was an atmospheric gem, whilst last year’s ‘A Million Years’ took it further with its memorable Eurovision-ready stage performance. Here’s hoping she doesn’t have to pull a Sanna Nielsen and compete in another 5 contests before she holds the trophy. Falling at the final hurdle last year, Dismissed were a credible rock outfit with a unique image and approach. 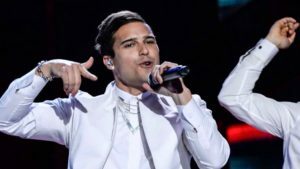 Their entry, the Ola Salo penned ‘Hearts Align’ was fantastic, but material adding a little more of a subversive attitude whilst keeping the infectious hooks would make them a real force to be reckoned with on the Melfest stage. The criminally underrated ‘I Will Wait’ suffers the fate of many brilliant Melodifestivalen songs. 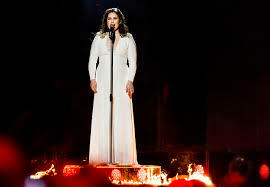 If it had been entered in any other national final, it’d sit pretty at the top of the pack, however the sheer level of quality in the Swedish finals relegated it to an early exit in Andra Chansen. Sad times. Isa’s track record is pretty stellar though, previously making it to the final with the pop-banger ‘Don’t Stop’. She’s just announced the release of new material, maybe a precursor for a Melfest return? This underappreciated queen has not yet made it to the final MelFest. Travesty. ‘I’ll Be Fine’ and ‘Hunger’ were both dance-pop anthems that deserved a better position than they were afforded. Molly is also extremely charismatic – if she can channel even more of her personality through her next entry, she could be one to watch. A shoe-in for that final spot in Semi 4, Eric is a Melfest legend and previous winner (‘Popular’ is still a pop gem! ), His return a couple of years ago with ‘Sting’ was a highlight of the year and his status as one of the most beloved artists to compete would definitely get pulses racing if he was announced for a comeback. 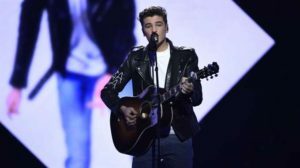 I was completely distraught that Lor-Queen and her dark anthem ‘Statements’ fell victim to the baby-faced Shaun Mendes-like Hagman in last years Andra Chansen. So much so was my tale of woe, that I criminally underrated his tune ‘Kiss Me Goodbye’. Having played the entries from Melfest ’17 numerous times, it’s actually his entry that really stands out. Every year. From now until eternity. Thank you.